His family are unable to raise the blood money needed to stop the execution. AMNESTY INTERNATIONAL IS calling for Iranian authorities to halt the execution of a young man who was still a child at the time of his alleged crime. Rasoul Holoumi, now 22, was sentenced to death in October 2010 for the alleged killing of a boy during a group-fight in 2009, when he was 17 years old. It’s believed that he threw a hard object that resulted in a fatal head injury. The allegations appear to have been made by several of the people who were themselves involved in the fight. Holoumi originally said the blow was not intentional but later denied that he had ever thrown the hard object. He was not given access to a lawyer during the investigation nor was he given adequate time or resources to prepare and defend himself before and during trial. There are also reports that there was a history of hostility between the family of Rasoul Holoumi and the principal witness in the case who testified against him. Iran’s Supreme Court upheld Rasoul Holoumi’s death sentence in 2010 without explaining its reasoning. The Iranian authorities were due to execute him on 4 May this year, but stopped it after the victim’s family agreed to forgo their request for retribution if Rasoul Holoumi’s family paid them 3.5 billion Rials (equivalent to US$135,323) as diyah (blood money) and transferred the deeds of their house and farm to them. The diyah amount of 3.5 billion Rials appears to be beyond his family’s means, leaving the 22 year old man vulnerable to imminent execution at any time. Amnesty International says there has been a disturbing rise in the execution of juvenile offenders with at least eight individuals being put to death in the first half of 2014, for crimes allegedly committed when they were below the age of 18. The execution could be carried out at any time at the request of the victim’s family, under the Islamic law principle of qesas (retribution-in-kind). 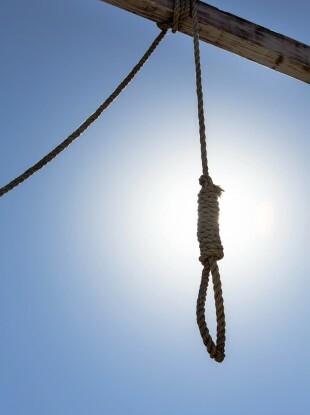 The death penalty is never warranted but it is particularly reprehensible for Iran to carry out this hanging when the person was a child at the time of the alleged crime, and the execution takes place after a flawed investigation process that violates fair trial standards. Email “Young man at risk of hanging for crime he committed as a child”. Feedback on “Young man at risk of hanging for crime he committed as a child”.